Roger Sark received a surprising phone call recently. 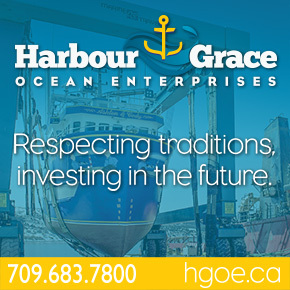 He was informed that he was to be honoured by the Atlantic Policy Congress of First Nations Chiefs as the 2015 Fisheries Business Person of the Year. It’s not something he was expecting, but it’s welcome all the same, Sark said. “I was thrilled,” he said. 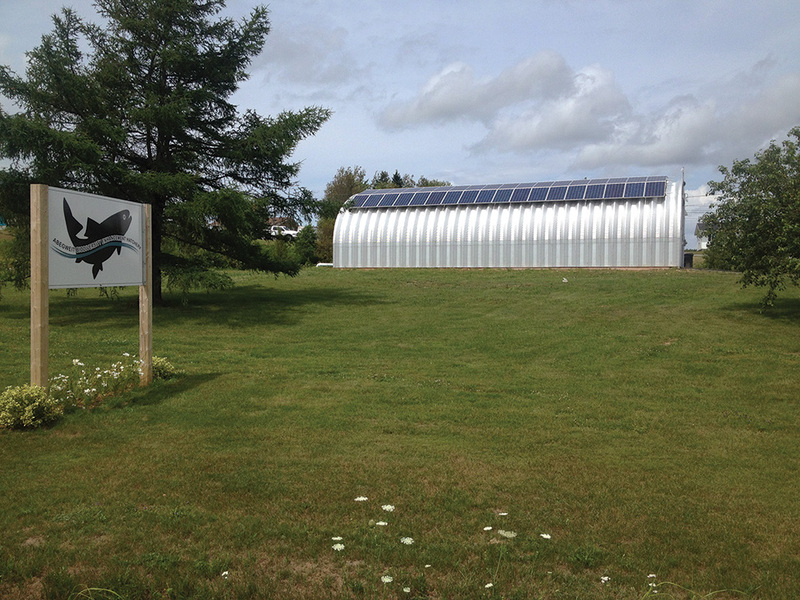 The Abegweit Biodiversity Hatchery in Scotchfort — established in 2012 to replenish P.E.I.’s rivers and streams with Atlantic Salmon and trout and has, to date, released hundreds of thousands of fish back into the local ecosystem. “It was a learning process for me, every step of the way. I tried to include the community as much as I can to express their views and put something into fruition on how we can get ahead and maintain our natural environment here on P.E.I. and just be good stewards of the land,” he added. The Policy Congress is a regional research organization for First Nation chiefs in Atlantic Canada, Quebec and Maine, U.S.
Sark’s award was handed out as part of the organization’s annual meeting, which was held recently in Charlottetown, Prince Edward Island. Born and raised on the Rocky Point First Nations Reserve in eastern Prince Edward Island, one of three communities that make up the Abegweit Mi’kmaq Band, he still lives there with his wife, Deanna and they have five children. Despite the award, Sark never actually intended to work in the fishing industry. After graduating with his degree in economics from the University of Prince Edward Island, Sark went to work for the Abegweit band council. Then in 1993 he was put in charge of the community’s burgeoning commercial lobster fleet. This was shortly after the Sparrow decision in Canada’s federal court secured the ability for First Nation peoples to hunt and fish freely for food, social or ceremonial purposes. At the time, the Abegweit Band was looking to get into the fishing business and Sark was tasked with making it happen. It wasn’t easy, he said, because lobster fishing was not a skill that was readily available in the community at the time. Even he, the guy in charge of the program, didn’t have much experience with that fishery. The program started out with two boats, but expanded considerably with further allocations of the resource thanks to the Marshall decision and now boasts nine fishing vessels. They harvest lobster, mackerel, herring, tuna and silver-sides. Roger Sark of Rocky Point, Prince Edward Island, was recently honoured by the Atlantic Policy Congress of First Nations Chiefs as the 2015 Fisheries Business Person of the Year. Sark has worked for almost 20 years to develop his community’s natural resources, including its fishing fleet and fish hatchery. Sark currently holds the title of natural resources director with the band’s administration and helps to not only oversee the fishing fleet, but various other projects as well — initiatives like the Abegweit Biodiversity Hatchery. The hatchery was launched in 2012 and holds the provincial contract to restock P.E.I.’s rivers with both Atlantic salmon and trout. That project in particular is close to Sark’s heart. They catch the brood stock from local rivers, collect the spawn and release the juvenile fish back into the same rivers that their parents came from. They’ve restocked hundreds of thousands of juvenile fish back into Island rivers over the past number of years. “It’s a big thrill for me, I enjoy it immensely. We get to see the fruits of our labour of restocking indigenous fish back into the rivers, and we’ve built a lot of relationships doing that wildlife groups and enhancement group,” he said. 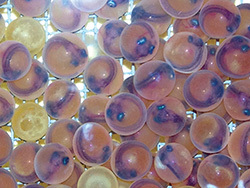 Fish eggs from the Abegweit Biodiversity Hatchery. In terms of future projects, Sark said he’s excited to see more sustainability introduced into the band’s current projects, including a recycled water system for the hatchery. 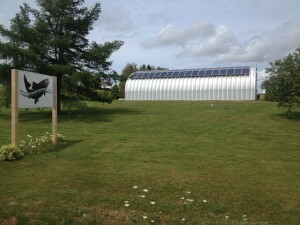 Anyone who would like to know more about the work being done at the biodiversity hatchery or the Abegweit community itself can find their websites at www.abegweit.ca and www.abegweithatchery.ca. No Replies to "Work Rewarded: Roger Sark Honoured by Atlantic First Nations Chiefs for Fisheries Work"